Beside the parallel calendar, exonerating from the social obligation of the New Year’s celebrations, Tehran’s best merit is that she does help discard quite a bit of that Western gaze we’re so drenched with, that tends to render the world outside of Europe without an agency. 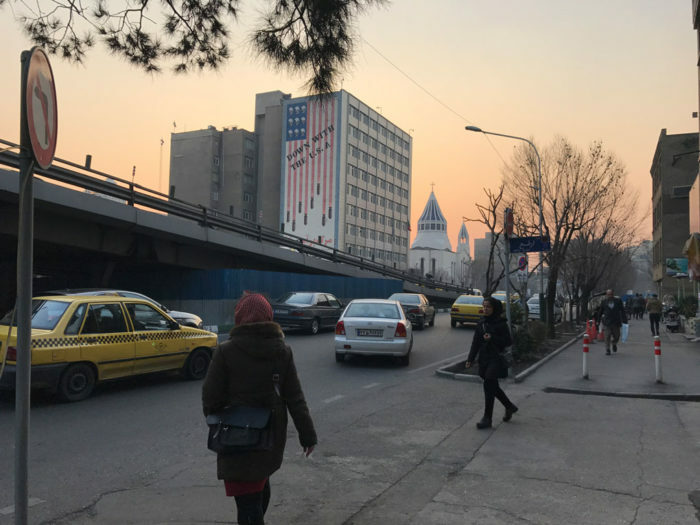 The attempt here is not to make Tehran appear as a city that’s worth visit, or alive enough to be labeled as a “contemporary craving city.” You all may want to hear that. Probably though, we might end up with a similar result because all I’ll be writing is nothing but a very personal love declaration to a city and to the people who inhabit her. 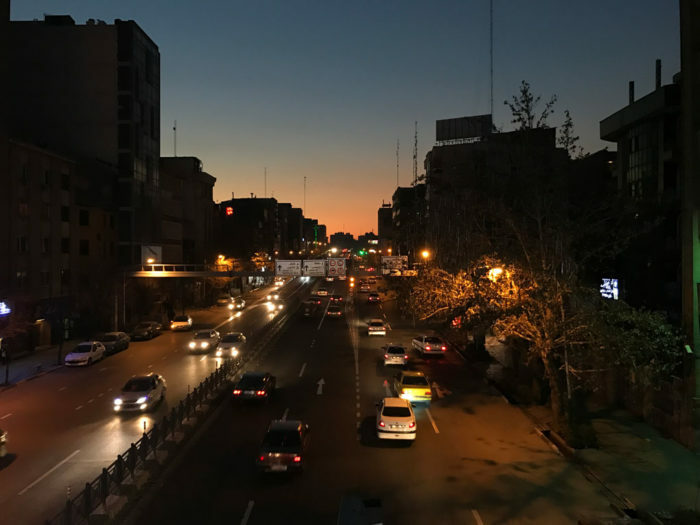 Tehran is not beautiful, or better to say, if you want to go sightseeing then land in Tehran and go to Esfhan, Yadz or Shiraz. If you want to see the past, Tehran is not the place where you can find it. 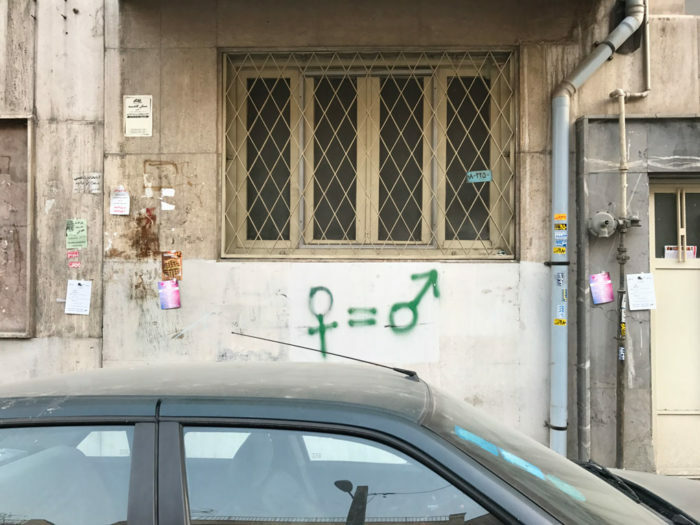 In Tehran you find the most palpable contemporaneity. From a very exclusively advantage point of being in one of the few places in the world that witnessed a successful revolution, precisely 40 years ago (11 February 1979). I don’t know whether you have a thing for revolutions like I do, but successful revolutions are pretty rare. Also, as Professor Behrooz Ghamari-Tabrizi explains, the Iranian revolution was the one with the biggest participation in history. Only two per cent of the population took the streets during the French revolution; only 1,5% in the Russian. 10-15% of the Iranian population all over the country actively participated in protests and turmoils, most of which happened in Tehran. 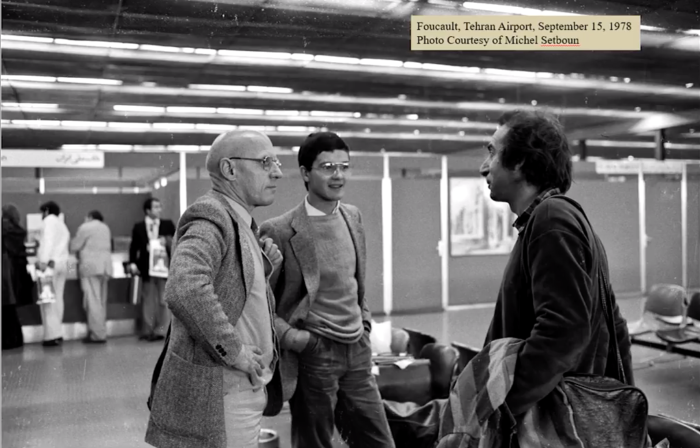 Before and during the revolution, Michel Foucault visited and wrote thoroughly about it. 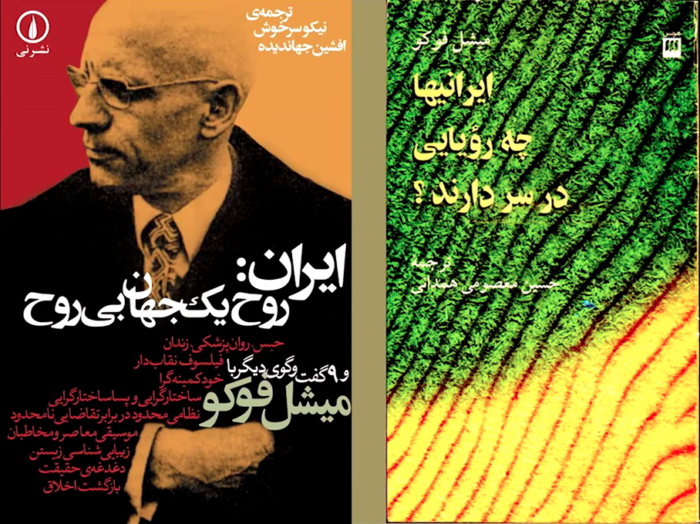 Generally speaking, the relationship between Tehran and contemporary History is emblematic. 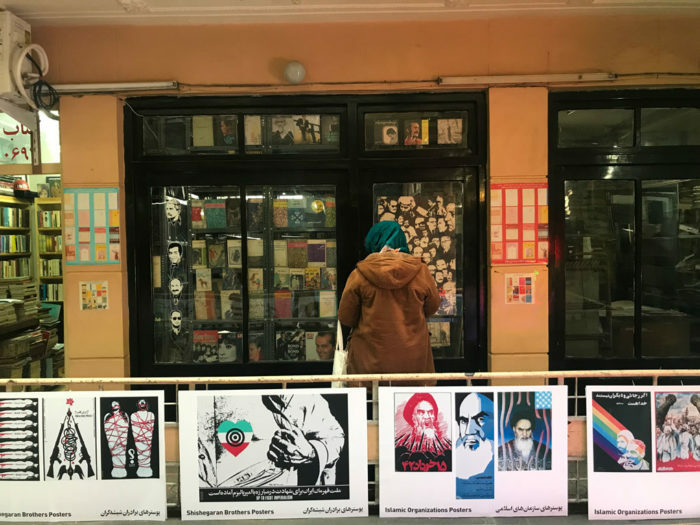 As mentioned in the same article, the second week of January 2019 has witnessed Tehran’s very first Art Week—following the modest Art Fair that has been going on since 2012—born from a collective effort among the local institutions in response to Trump’s second wave of sanctions and to Dubai’s monopoly in the region. Beside being completely free of charge, thanks to a greater network of volunteer passionate workers, TAW’s focus goes on the relationship between the citizens and their city, and the citizens and visual arts. Quoting from the TAW catalog’s opening essay by Sohrab Mahdavi “Tehran Art Week wants to join the city, citizens and art” meaning to reclaim the right to the city not only for “those with means” or for “transit.” I love that Mahdavi refers to the tautological relationship between the city and her citizens as fellowship, claiming that “should the number of those who want to use the city not for transit but for association increase, the quality of their affiliation will become an issue and enter their lived experience. Such citizens would transcend their frustration to formulate their vision of the city; find ears to hear and eyes to see among municipal officials, and convince them to abide by their demands. Such citizens wouldn’t seek comfort only in the quiet of their homes but roll up sleeves to create it everywhere.” Indeed, in a place like Tehran where the domestic dimension is so significant and comfortable, always open and prepared to host guests, this kind of statement is very meaningful. TAW included works commissioned for the city alongside those appearing in galleries, and an incredible amount of panel discussions, lectures and talks, happening simultaneously in different locations all across the city, all for free. 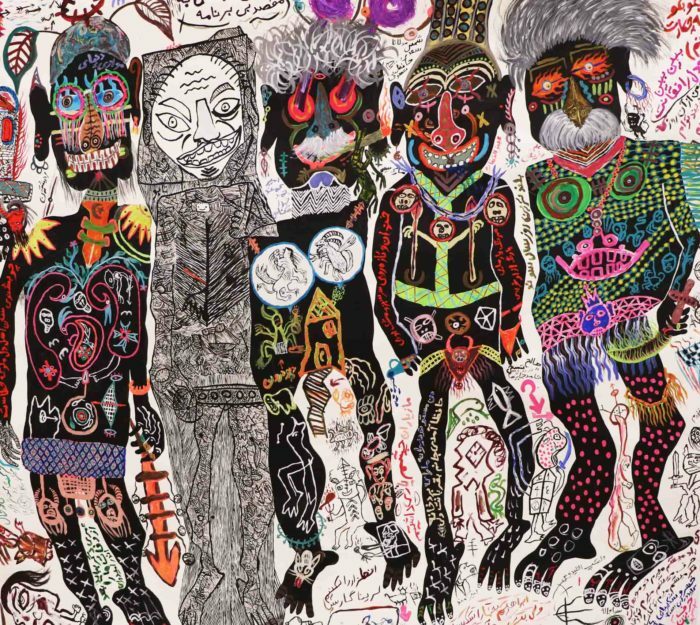 Among other shows, I had the pleasure to see at Delgosha Gallery, the exhibition titled I Put a Spell on You, with beautiful paintings by self-taught painter Mohammad Ariyaei, in a mixture of Art Brut and wild expressionism, allusive poems by Saadi and Hafez inscribed on mysterious characters, all in extremely bright colors. If the paintings themselves weren’t exotic enough, from the gallery statement we learn that the artist grew up with his grandmother, who was an exorcist. Then another kind of darkness is recounted in the paintings by Majid Fathizadeh at Ab/Anbar, as compelling and beautiful. 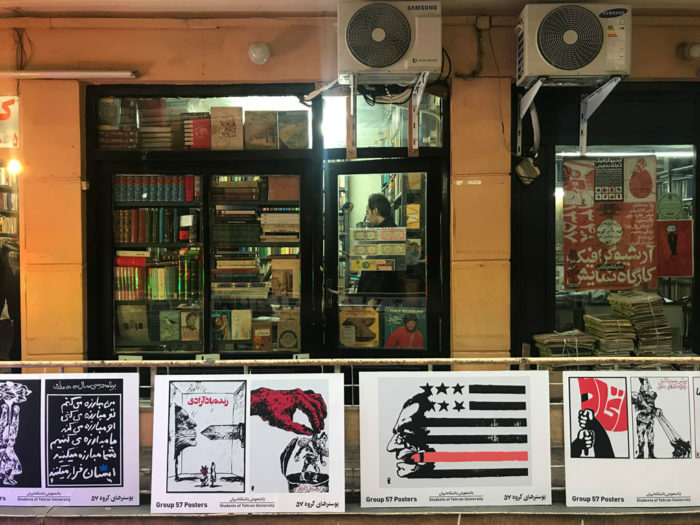 A place where to witness the glorious encounter between revolutionary aesthetics and publishing was the Safavi Book Bazar, north of Tehran’s Enghelab Square (Revolution Square), which was chosen to display forty protest posters related to the revolution. 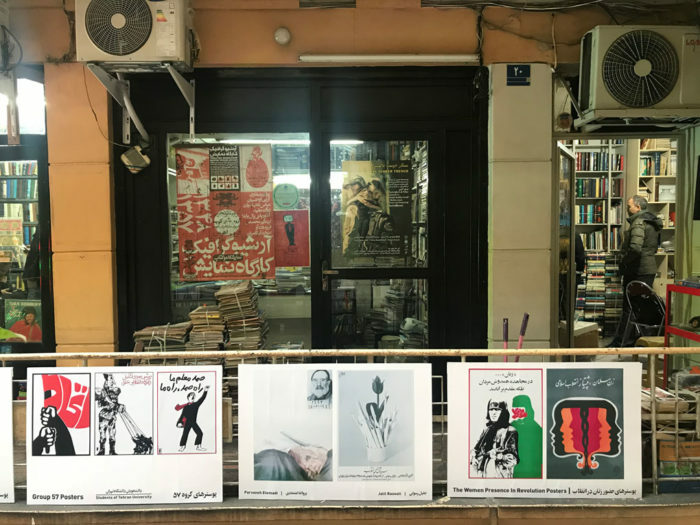 Within its beautiful four stores passage, housing bookstores, book binding and printing workshop, the Bazar is best known as one of the main unofficial sources of archive material on graphic design and publishing history. The posters were perfectly integrated in the overwhelming environment, that from the top floor looked like a miniature vivant. I could have spent hours in there. Anyway it feels like I missed more than I actually saw, so I won’t try to turn this report into a review. Nevertheless, any art event is in fact a parameter that tells us much more about its context. As a market like another, art is a measurement of wealth and culture, but it is the way art is done and for whom to tell about its intention. Going back to Mahdavi’s statement “ TAW can help with increasing the arts’ appeal to the public. The decision over the place of art in our lives cannot be left only to the museum directors, collectors, market speculator or gallerists; nor should financial measures dictate what type of art is important and should find a market. 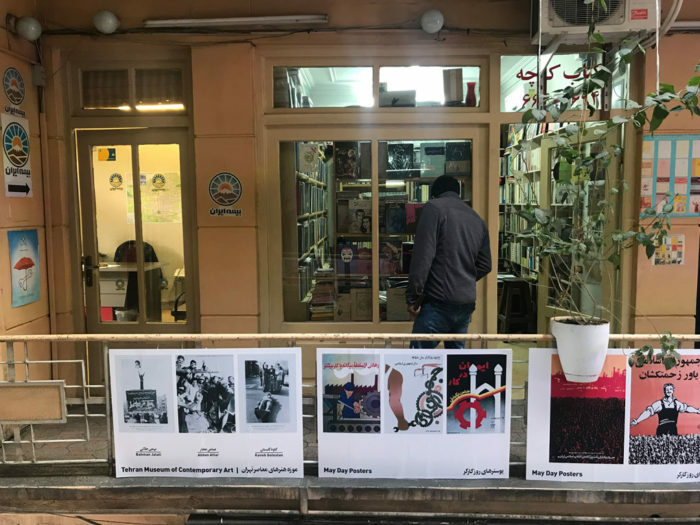 TAW can perhaps help reduce the gap that separates art from the city and its citizens, in this way make the city liveable, citizens inquisitive about their surrounding, and bring a public face to the arts” (source TAW catalog). Meaning that if there are gaps, Tehran and her citizens are actively busy in filling them. 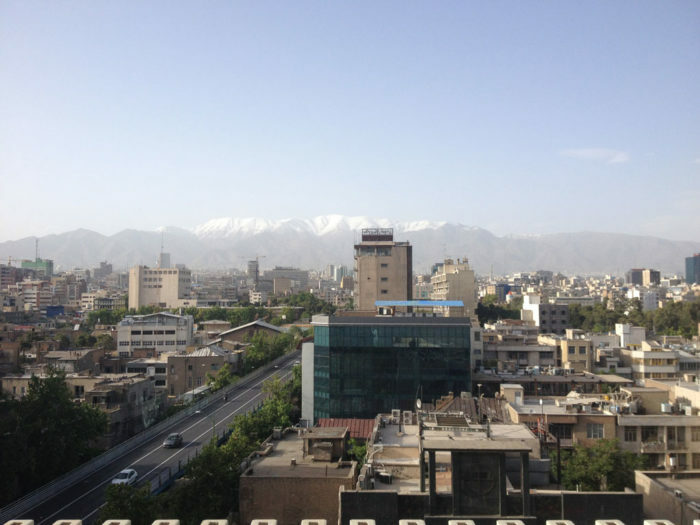 So, how is Tehran really doing? The way I experience Tehran each time is very specific. I see it through the gaze of people—mainly artists, that chose to live there, as opposed to the many who leave to study and work abroad. The Iranian is a diasporic population, both for political and professional reasons. 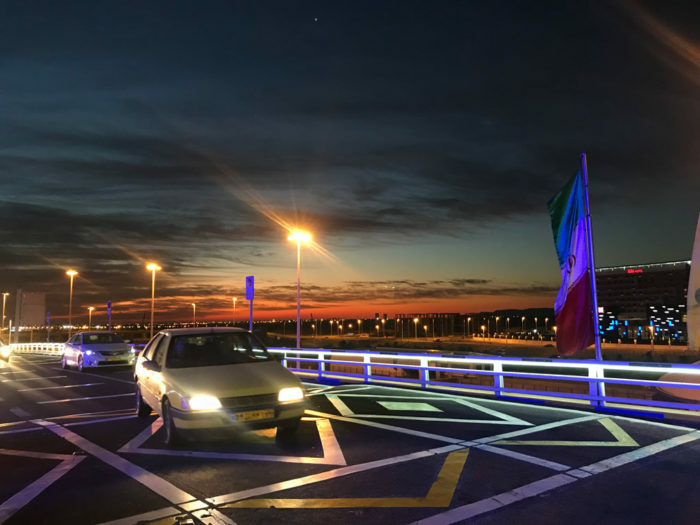 As artist Golrokh Nafisi puts it, there is a difference between mosafer and mohajer, the traveller and the immigrant, and first of all in the way they narrate their stories. As mosafer they are fine with keeping their mother language, because eventually they will bring their stories home. As mohajer an effort is made to use the language of the country where one lands, because the story will be destined to that other geography. The people who introduced me to the city are mosafers. They speak the same language of the city and they are in constant dialogue with her, in constant negotiation with a mother that welcomes almost 14 million children. They are people who invest and engage with their surroundings, and take political stands through the adversities. In this particular moment they face economic sanctions, that are designed to oppress the middle-lower classes, in order to drive them to despair in hope for a repentine political turn. Their impact on everyday life is not always perceivable, but it is undeniable, as everyone’s mood and economy is obviously deeply affected. 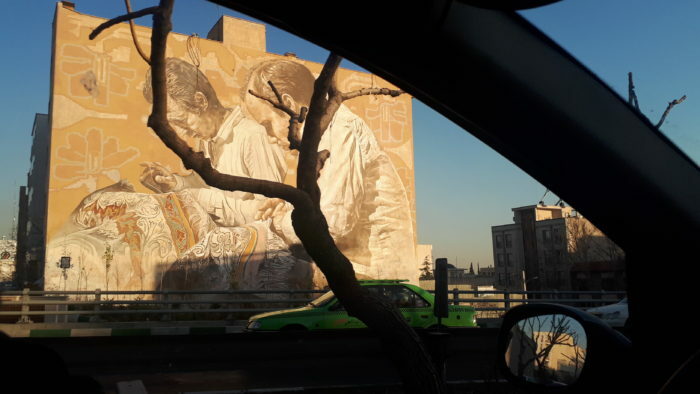 Beside seeing her mountains—the real ones and the rice ones—and her freeways, her taxis and murals, her bazaar and her avenues, when I think of Tehran I see all these nuances. I see all her ambiguities and possible histories, containing all the cities of the world at once. 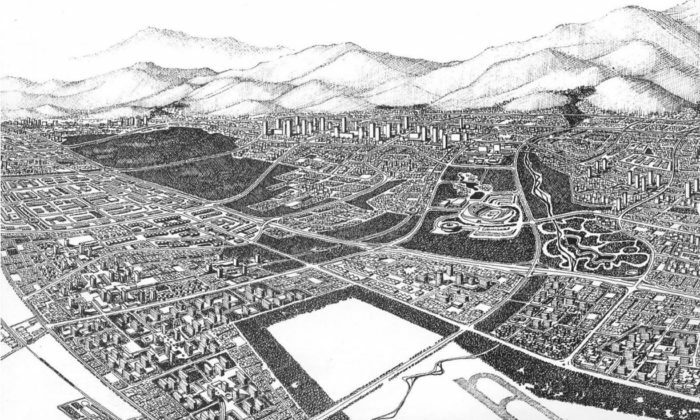 When I think of Tehran, I see a continuous city embodying all the contradictions of the contemporary world. What lead UK to Brexit and how can we imagine another future from amidst the wreckage?